Brief Synopsis – After his girlfriend mysteriously disappears at a gas station following a fight between them, a man spends his days and nights searching for her. My Take on it – This is a film that I had never even heard abut before coming across it for this series. The fact that it has a great cast is what helped make me choose to watch this. The premise of the film is quite interesting and they take things in directions that most people wouldn’t expect. Unfortunately, it also goes to some very strange laces along the way that take away from any impact that this story could really have. 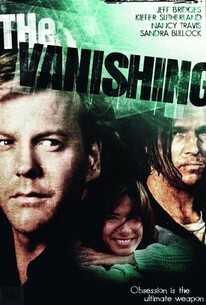 The cast features Kiefer Sutherland and Jeff Bridges and both of them do very nice jobs with their roles. They both add to the intriguing elements to the story despite some very large plot holes in the story itself. Sandra Bullock is also quite impactful even in a very small yet important role. Unfortunately, the story isn’t able to stay as thrilling from start to finish as one could hope and the added fact that too much of the storyline isn’t expanded on enough or even explained properly ends up leaving too many questions without proper explanations. This takes away from making this story even more enjoyable. Bottom Line – Very interesting premise that starts off really well but reaches some strange points along the way that take away from the real impact of such an idea. Great cast led by Sutherland and Bridges helps keep thing intriguing throughout even with some very large plot holes along the way. The story isn’t as thrilling as one would hope and there are some points of the storyline that are never really expanded on or explained well enough which leave much too many questions open for this to feel more satisfying a story.